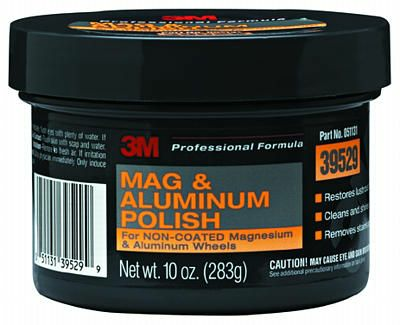 3M Mag and Aluminum Polish safely removes oxidation, water spots, stains, brake dust and other residue from non-coated magnesium and aluminum wheels. 3M Mag and Aluminum Polish is ideal for cars, trucks, bikes, motorcycles and any other type of wheels or rims with a non-coated magnesium and aluminum surface. Perfect for that rim or wheel that needs a little more attention because of excess dirt or grime. Make you vehicle's rim or wheel stand out in the crowd, 3M Mag and Aluminum Polish will deliver the shine your vehicle deserves. 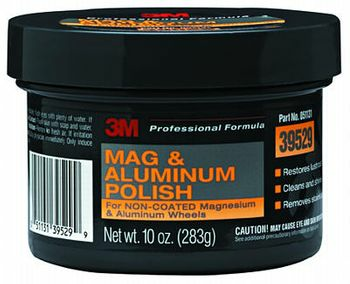 Product Reviews for 3M Mag and Aluminum Polish 10 oz.